As a full time knifemaker I am commited to delivering the best possible handmade custom knives that I am able to create. I am constantly adding new designs and finding new handle material to compliment my hand crafted knives. 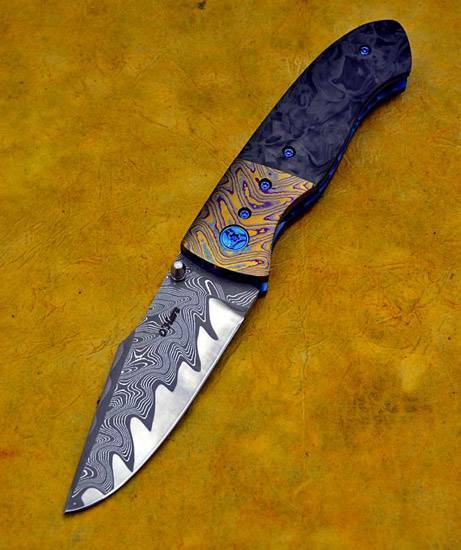 With the exception of engraving my knives and sheaths are a complete in house creation. 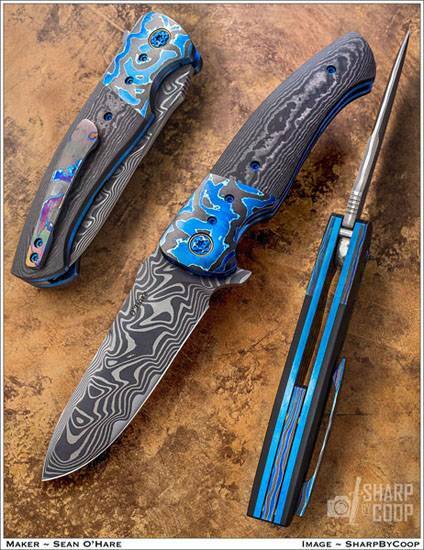 My knife designs include a wide selection of Fixed Blade designs ranging from drop point hunting knives to tactical tanto style custom knife designs. 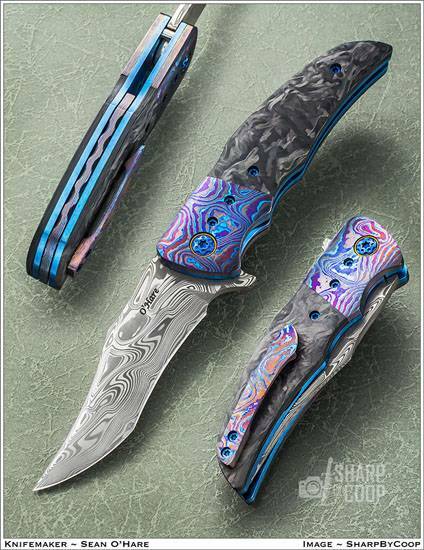 Additionally we offer a large selection of titanium frame, liner lock folder as well as flipper folder knives being a recent addition. 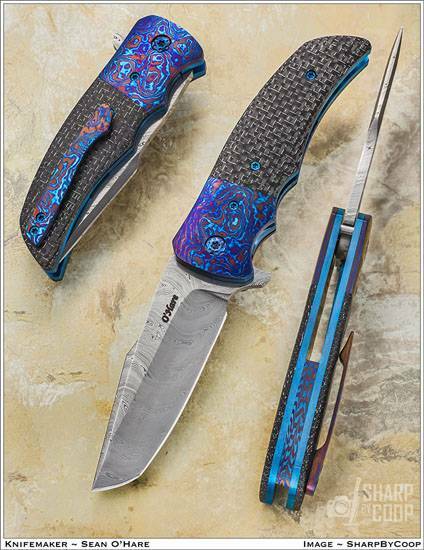 All designs are available with traditional materials or can be upscaled with the use of custom damascus, mokuti, zircuti, or timascus. Mar. 21, 2019 - Folders Up For Sale - Orion, Krytter, and Rogue check'em our here. 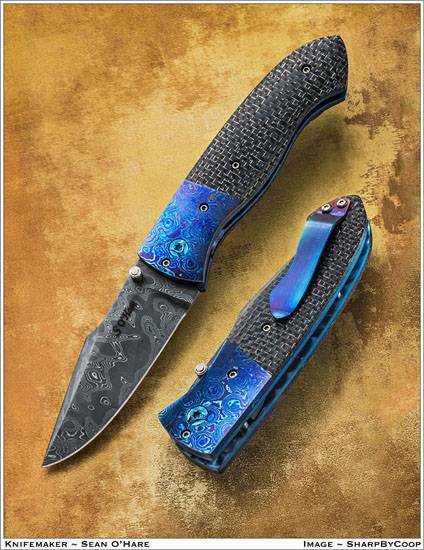 Feb. 11, 2019 - Knife Up For Sale - Check out our Sparrow that is Available. 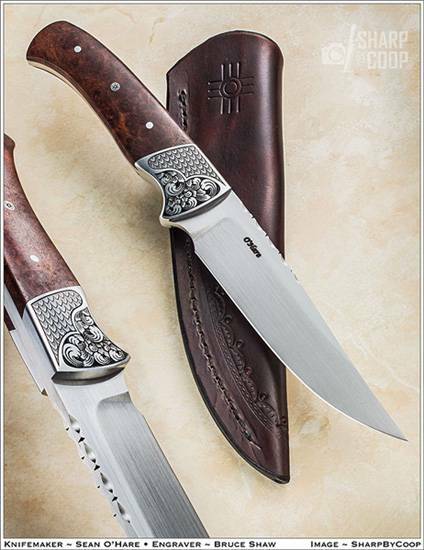 Dec. 15, 2018 - Knives Up For Sale! Check'em out in my Available Page. Apr. 21, 2018 - EDC Utility Knife For Sale. A great little utility knife with S35VN blade. Check it out. Apr. 16, 2018 - Folders Up For Sale! Check out the Fusion and Orion just listed to our Available Page. Apr. 9, 2018 - All available knives have been sold. We hope to have a couple more up for grabs in a week or so. Also a reminder - people on our Email List get a 48hour preview of anything that will be posted for sale. Is a good chance to pickup a new knife, just click the link to have us add you to the list. Apr. 2, 2018 - For Sale - A few folders up for grabs! Check'em out on our Available Page. Jan 14, 2018 - Happy New Year! Starting the year off with a Sparrow fixed blade up for sale! We are going to try to make time this year to make more work available for sale. Now is a great time to get yourself on our Knife Update List. See above for the link.